CEI is proud to support activities that promote broader public understanding and dialogue of the scientific and technological issues associated with energy generation, storage, and use. At present, we support a number of interlocking projects such as those that are designed to generate electricity from sunlight at UW, provide a facility for testing next-generation photovoltaics (PV) technologies, and operate a state-of-the-art Northwest solar monitoring site. Click here for more information on the radiometer. Click here for radiometer data visualizations. 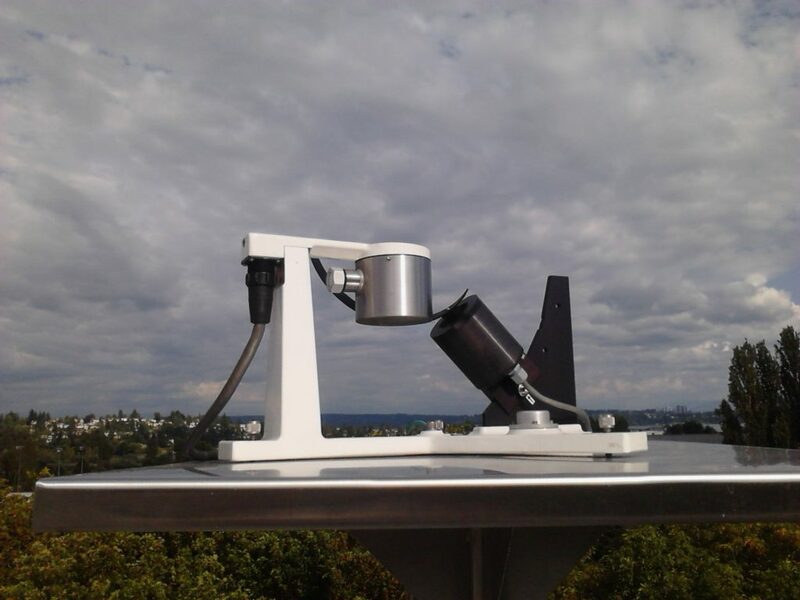 Solar monitoring station: We have installed state of the art sensors on the test bed facility to provide data on solar radiation, direct vs. indirect light, temperature, and other parameters. The facilities at NREL relate to direct sun at lower latitude and may not accurately represent what solar installations might experience in Western Washington or other similar areas (e.g. Germany). This system will be important in determining the denominator for any solar efficiency calculations. It will also be important in helping people understand that there is more solar radiation in western Washington than most people think. 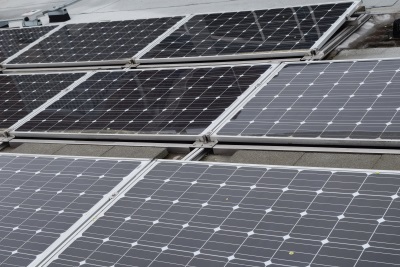 In addition to providing a powerful research tool, this system will have value for public outreach efforts regarding the viability of PV in the northwest. A YESINC shadowband radiometer. The black blade passes over a sensor on the top at precise times to compare direct sunlight with indirect. This is important because some panels function differently in direct or indirect light,. Photovoltaic (PV) test bed facility on the roof of the Power Plant: This will have plug-in stations where researchers can test a variety of emerging technologies side by side under “environmental” conditions. This underscores our belief that in order to create breakthrough technologies we will need to test them outside our sheltered lab environments. The data from this should provide excellent research opportunities for both graduate and undergraduate science and engineering students. 10kW photovoltaic (PV) demo on the roof of the UW Power Plant: There are three different technologies in this demonstration site that feed PV-generated electricity into the UW electrical system. The UW smart grid project monitors how much power is generated every day. You can find this power generation data on the UW Energy Dashboard (click on the “solar” tab). We are working on making it available for use by researchers, schools and interested members of the general public.